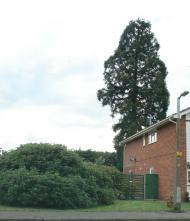 Proof indeed, that you can have a big tree in a small garden! 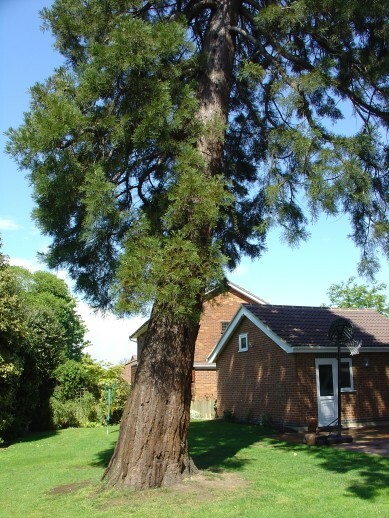 In fact, this garden in Weir Wynd, Billericay, has two superb Wellingtonia just a few metres from the house. The trees were originally in the grounds of the Lockers Hall Estate, and it is interesting to see that large trees and new buildings can happily co-exist. Presumably, good foundations together with the fact that the trees were already well established in the ground have put paid to old prejudices. Nice to wake each morning to this superb view from a bedroom window! 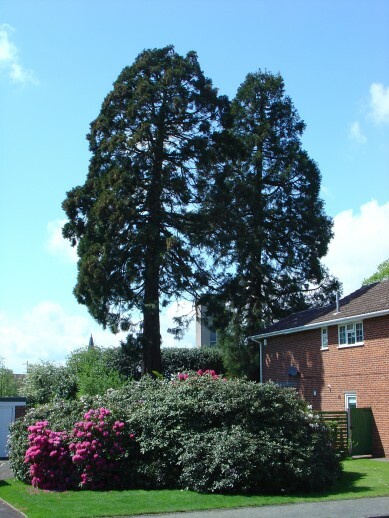 The lefthand tree pictured above has now been removed - we would be very interested to find out why this was.